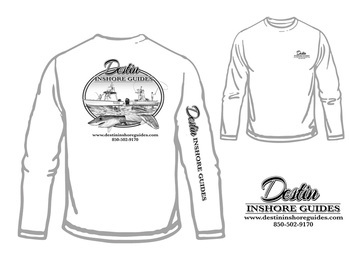 Destin Shark fishing trips are perfect for the trophy hunters and thrill seekers. There is a wide range variety of sharks we catch including Bull Sharks, Spinner Sharks, Mako Sharks, Black Tips, Dusky Sharks, Sandbar Sharks, Hammer Head Sharks, Nurse Sharks, and Tiger Sharks. A majority of these sharks are protected making these Destin trips mainly catch and release trophy excursions. However we are teamed up with Grays Taxidermy "the world’s largest marine taxidermy company" and offer replica mounts of your trophy catch if interested. 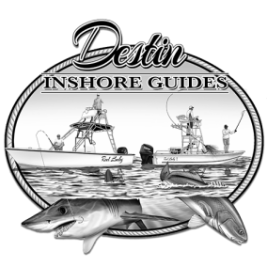 Sharks can be caught both in the gulf as well as our bays making this excitement available for those worried about going into the gulf and the anglers that get seasick. Come test your strength and take your shot at a monster (don't forget to bring your camera)! "Holly cow! I can not tell you how much fun we had hunting sharks! Me and my boy both caught a Bullshark and let me tell you, we will never forget the adrenaline rush! Thanks Captain Josh!"